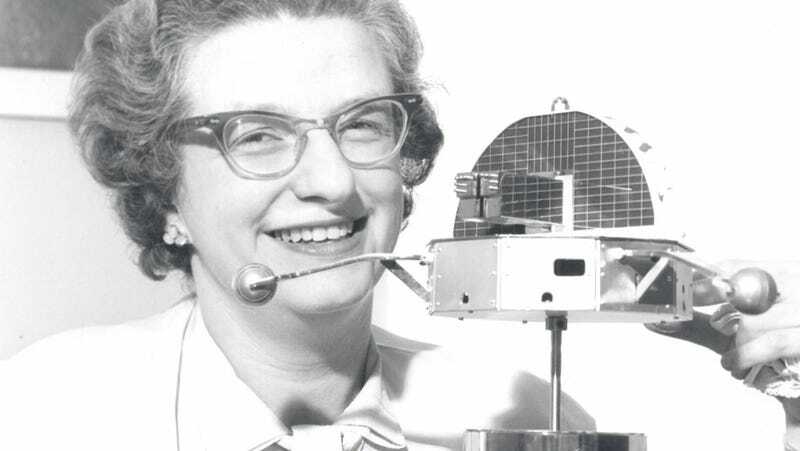 Dr. Nancy Grace Roman, NASA’s first Chief of Astronomy, poses with a model of the Orbiting Solar Observatory (OSO) in 1962. Roman, a longtime employee of the National Aeronautics and Space Administration, was the first woman to hold an executive role at the agency, the Associated Press reported. After getting her Ph.D. in astronomy from the University of Chicago in 1949, Roman joined NASA in 1959 as its first Chief of Astronomy in the Office of Space Science at NASA Headquarters and remained in the role for nearly twenty years until her retirement in 1979, according to NASA. She was involved with such groundbreaking programs as the Cosmic Background Explorer, and as her informal title suggests, the beloved Hubble Space Telescope. Roman is remembered for her work in bolstering career opportunities for women through the American Association of University Women, the Washington Post reported. Roman is said to have consistently bucked significant barriers throughout her education and career at a time when there were few women in her field, especially at the executive level. She is most often credited with furthering much of the early development of the Hubble program, particularly as it related to funding and proposals. According to NASA, Roman’s awards and honors include the Women in Aerospace’s Lifetime Achievement Award, the NASA Exceptional Scientific Achievement Award, and the NASA Outstanding Scientific Leadership Award, among others. Last year, Roman was honored as part of a fan-designed Lego set honoring women of NASA that also included pioneers such as Katherine Johnson, Sally Ride, and Mae Jemison. Roman died Tuesday following an ongoing illness. According to the Post, she is not survived by any immediate family members.